During a weeklong marketing campaign that cost $1,000, Verizon’s sales increased by 200%. The campaign offered San Francisco consumers the chance to win a new smartphone if they scanned a QR code as they entered any Verizon cell store and shared the code with their Facebook friends. If the friend bought a Verizon two-year phone contract, the original customer would receive a free phone. An Applebee’s Restaurant Franchisee increased their lunch sales by almost 10% by launching a QR code campaign on print displays placed on the tables. When customers scanned it with their mobile phones, they interacted with the promotion (a- lunch-served-in-14-minutes-or-less special) on Applebee’s YouTube channel. Sacre Bleu, a small wine company, used QR codes for a successful social media outreach, according to Entrepreneur Magazine. The code was on the wine bottle label and took the scanners to a custom mobile landing site which included special offers, food/wine pairing tips and brand information. These stories contain a strong message for those who use QR codes. If you’re going to use one, make sure the experience of scanning turns out to be worthwhile for the consumer. A QR code can be designed for free, with the help of online sites, or if you prefer a more elaborate version, ask a graphic designer for input. The look of a QR code is only limited by your imagination. Remember that colors can impact sales. You may want to pay want to forgo the free black and white version, and design a colorful QR code. They work especially well with printed material like direct mail, print ads, business cards, signage, etc. Other uses include t-shirts, bags and product packaging. The codes can be scanned with a QR code reader. These are available as a free app (download with most smartphones). The code, once scanned, can be programmed to take the user to a website, a dedicated landing page, a video clip, downloadable report, online shopping cart and more. It can even make an outbound customer call. The key, as suggested in the examples above, is to make the scanned experience one of value for the scanner. 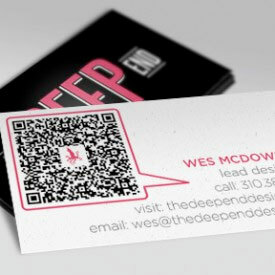 Business cards: This is an obvious one but with a little imagination, you can make it a cool experience for the scanner, and beneficial to your purpose. For example, for a job seeker, the code on a business card could go to an online resume; for a florist, a beautiful display of flowers and for a property manager, sharp photos of buildings managed. Signage: A good example of this is a QR code on a For Sale sign in front of a house. There, a prospective home buyer can scan the sign to get more detail on the home. Even better, the QR code can lead the prospect to a video tour of the home for sale. Bills: A QR code can offer a discount on the customer’s next bill, or a chance to win a month of free services, if they scan the code. The number of consumers who use mobile devices to browse the internet is expected to grow by 8% in 2013 according to Pingdom, a global website monitoring company. 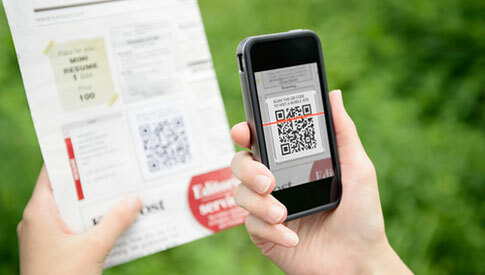 Plus, studies indicate that 49% of consumers who have noticed QR codes on products or advertisements scan them. Using a clever QR code campaign in your next batch of print materials could enhance your brand and very well lead to a batch of new business. 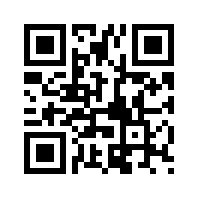 If you have a smart phone, download a QR code app (search QR codes). 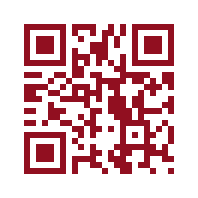 Now open your app, and start looking for QR codes on business cards, brochures, etc. Scan the codes that are attached to products or services that interest you. Pay close attention to the types of information or rewards the vendors are offering. This will give you inspiration for the types of rewards you want to offer. If you think QR codes are for you, make sure you strategize their use like you would any marketing campaign—i.e., know what you want your message to be and the action you want your prospects to take. Specifically for QR codes, know what marketing piece you want them on.